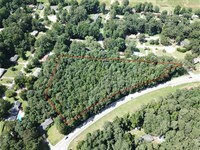 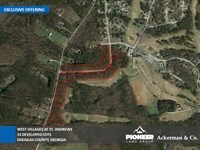 The 7.96 Acres is located in the west-metropolitan area of Atlanta. 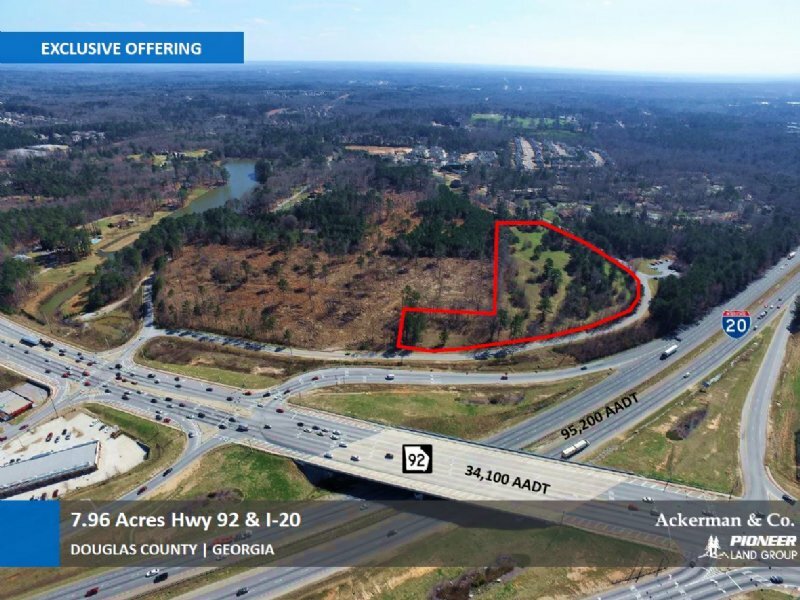 It is located in the south-west corner of Hwy 92 and I-20 in Douglasville, Georgia. 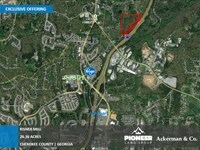 The property has superb visibility from I-20, which carries over 95,000 vehicles per day. 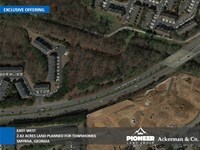 Arbor Place Mall is located one exit west of the subject property at the Chapel Hill / I-20 exit.1,780 +/- feet on Slater Mill Road which runs along the right-of-way of I-20 and the eastbound off ramp exit of Highway 92. 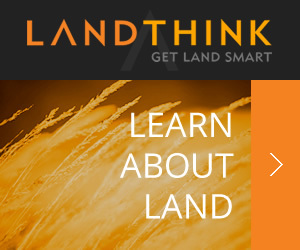 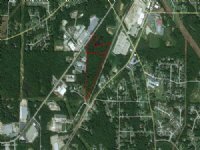 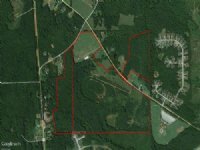 When calling broker, please say, "I found your listing 7.96 Acres Hwy 92 & I-20 on COMMERCIALFLIP."